PACK OATMEAL - ASK YOUR FLIGHT ATTENDANT FOR A CUP OF HOT WATER AND A SPOON. ATTIRE - I WILL VOUCH FOR MY NIKE FREES TILL THE DAY I DIE. ATTIRE - DRESS COMFY, BUT NOT LIKE A HOBO. ATTIRE - I WEAR SCARVES... THEY PROVIDE COMFORT. BAGGAGE - LIZ CLABORNE ROLLER. IT FITS IN AN OVERHEAD COMPARTMENT. EMERGEN-C - THE LAST THING YOU WANT TO DO IS SPEND YOUR TRIP SICK IN BED. ENTERTAINMENT - BRING YOUR IPAD AND OTHER GADGETS, BUT DON'T FORGET PRINT MATERIAL. HAND SANITIZER - 95% OF PEOPLE DON'T WASH THEIR HANDS CORRECTLY. Jeff and I leave for Vanuatu this week! Vanuatu!?!! - Bless you. But for real, Vanuatu (the country where Jeff lived for 2.5 years in the Peace Corps) is on the agenda beginning Wednesday. I started packing today and realized we'd be spending about 24 hours each way on commercial flights - groan. I LOVE travel which makes my dislike of flying a tad annoying. I'm not afraid of the actual flight itself (really, I'd rather be skydiving out of a plane than riding in one... so it's not the height that gets me), it's more my dislike the whole airport process. I once got to fly private and holy moly was it neat. Exclamation point, exclamation point. Think about getting into your car, tossing your bag in the back seat, starting the car and backing out of the garage, then taking off towards your destination. Okay so that... but in an airplane. No new news here, airline food isn't very tasty or nutritious. I'm a huge snacker and if you're anything like me your snacking habits escalate when you're traveling. I get bored on flights and when I get bored I eat. I usually bring Cliff Bars for early morning flights - they pack well, I like the way they taste, and they leave me feeling full. Also, they don't go bad so you can save and eat for the ride home too. Another good one is packets of instant oatmeal. Ask the flight attendant for hot water and a spoon. But when I'm looking to occupy my mouth and mind I'll snack on trail mix and yogurt raisins - small things that you can each piece by piece. What ever your taste buds like... make sure you choose something that is resealable, including beverages you buy in the terminal - having an open drinks is annoying because you end up having to hold it. I'll usually purchase a bottle of water once past security and then use water fountains to refill. 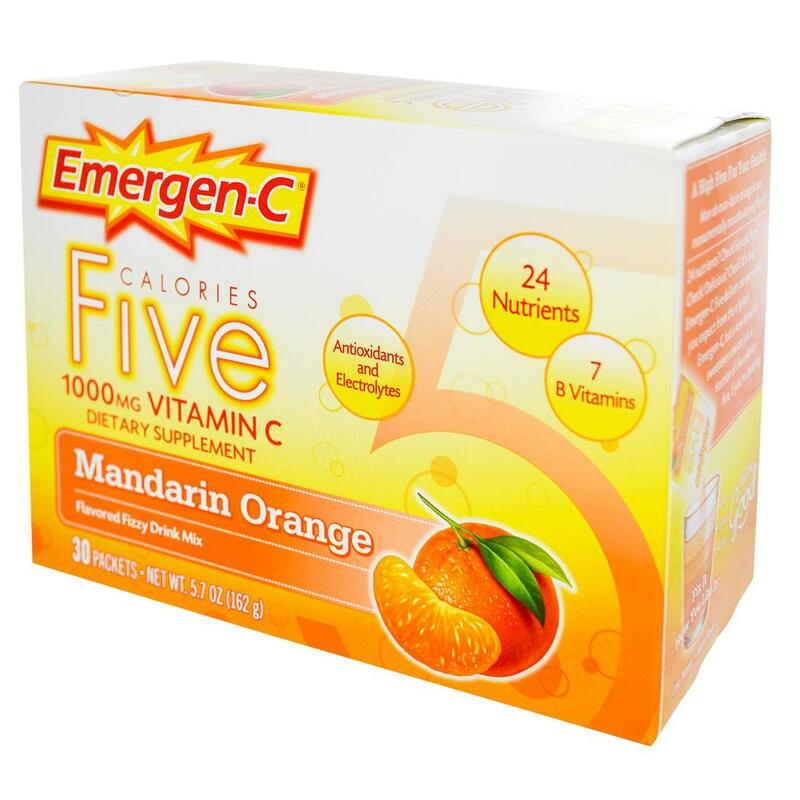 Also, packing some crystal light packets isn't a bad idea either and even a step further... if you are prone to being sick... Emergen-C packets all the way. I hate to admit it, but I have the attention span of a toddler. When I'm bored, you'll know... and I'm sorry. Jeff can literally spend all day on the couch napping and reading. While he's busy doing that, I somehow manage to accomplish everything short of running a marathon. I think they call that hyper activity or A.D.D. nowadays? Back to the in flight entertainment... unless you're flying on Air New Zealand (word around town is that they are the most accomodating airline out there with personal screens and on demand movies), you might consider bringing along a few different items to keep yourself busy. There are 3 things I never travel without: 1. ear buds 2. iPad 3. print materials of some sort (magazine, book I'm into). I plug my ear buds into my iPhone for music to drown out unwanted noise as well as for my iPad (where I've already downloaded a few movies or season of GIRLS). The print material is for when they require you to keep 'all electronic devices off' - which can sometimes end up being a longer duration of time than they allow for you to have electronic devices turned on. 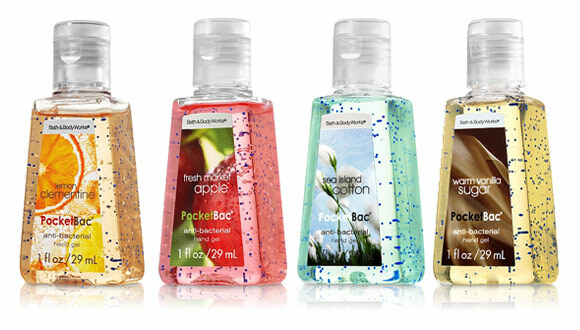 You know those ugly little jelly-like holders Bath & Body Works sells for their mini hand sanitizers... typically you find them hanging in bulk off the back of a teenagers duffle bag? I hate them, but I still use them. Why? Because they are handy and no one has come up with a better (more beautiful) design yet. Honestly, I completely forgo the sink, soap and dryer in airport restrooms in exchange for the hand sanitizer. The less things I touch that others have touched, the better. I'm not a germ-a-phob or anything (the 5 second rule is cool in my book), I'd just rather pull out all the stops when I'm heading out on a long trip. The last thing I want to do on my time away is nursing the sniffles cause people don't wash their hands correctly. Back to the handy sanitizer things, they are also convenient while on your flight. I have a friend who lives by those little Colgate Wisps - I recently mentioned them in 'How to Look Cute Camping' in July. I like them, and yes they do keep your breath smelling fresh, but I still prefer gum for two reasons: 1. I have a bad habit of biting my nails and cuticles if I'm bored enough and 2. my ears often pop when taking off and landing. The chewing helps lessen the popping. Plus... if your neighbor ends up having terrible breath it's way easier to offer them a piece of gum than a Wisp! Also, if your gum of choice is Trident Layers... you can use to tip the bell hop. Joke. Comfort is key, but the trick is being comfortable AND not looking like a hobo. I usually sport black leggings (black because anything lighter might show the coffee I'm destined to spill on them later - coffee doesn't have a resealable top! ), comfy sneakers - you never know when you'll have to run between flights (I'll vouch for my Nike Frees til the day I die), a tank with a built in bra, and a hoodie from my closet that's less from the years you were in college and more from the boutique clothing store in Eastown. I bought this Nanushka hoodie last Fall and probably wear it way too much. 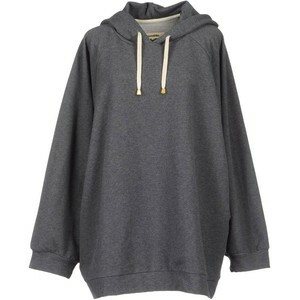 But for good reason, it's comfy and stylish. Last, I always, always top a travel outfit off with a flowy scarf. I must have been attacked by vampires in a past life because for some reason having my neck covered gives me a sense of comfort. Full honesty, I still have a baby blanket I sleep with that gets bundled near my neck at night. But bringing a baby blanket on a plane would be weird. Having the scarf for warmth is good too. I've used it to cover my legs before when cold. My number one rule for luggage on flights is ALWAYS CARRY ON, never check. I say this for a few reasons: the first of course is due to luggage getting lost. I once checked my baggage on a flight to Las Vegas that landed only hours before the start of the Miss America Preliminaries - an event you definitely want to change out of your tennis-shoes and comfy pants for. I ended up having to borrow a cocktail dress from a friend in the short term - my bags didn't arrive till the next day. 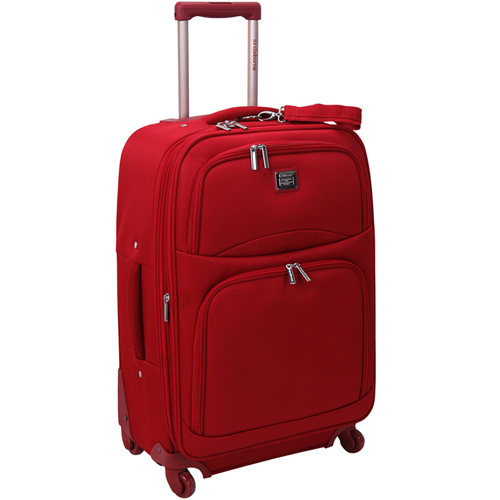 Additionally, most would be surprised that you are 1. allowed two carry on bags: a traditional luggage bag that fits in the overhead compartment and a purse or smaller bag where I usually keep my wallet, iPhone/iPad, book/magazines... stuff you want accessible. And 2. the overhead compartment can actually fit much larger bags than you think: 22 x 14 x 9. For years I've used my Liz Claiborne roller. It actually has four wheels on the bottom that pivot in all directions. When standing upright the bag still rolls in forwards/backwards/sideways which is great for pushing down the tight isle ways. Last point on baggage - they don't weight your carry-ons. Pack away!